Start with this luxury towel holder. 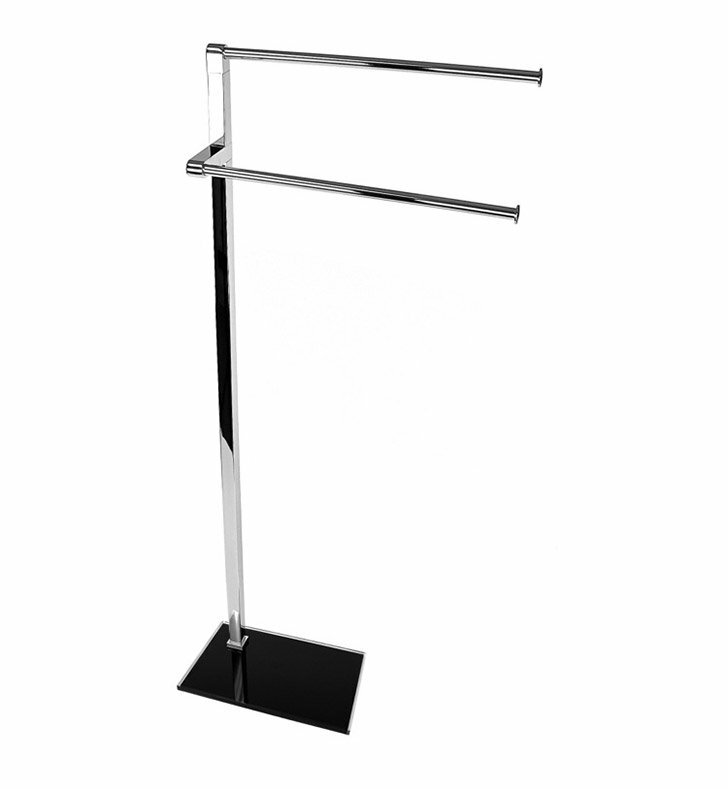 Floor Standing and available in black, this cromall and thermoplastic resins free standing towel rack will compliment a contemporary & modern master bath. Designed and made by Gedy in Italy. From the Gedy Maine collection.